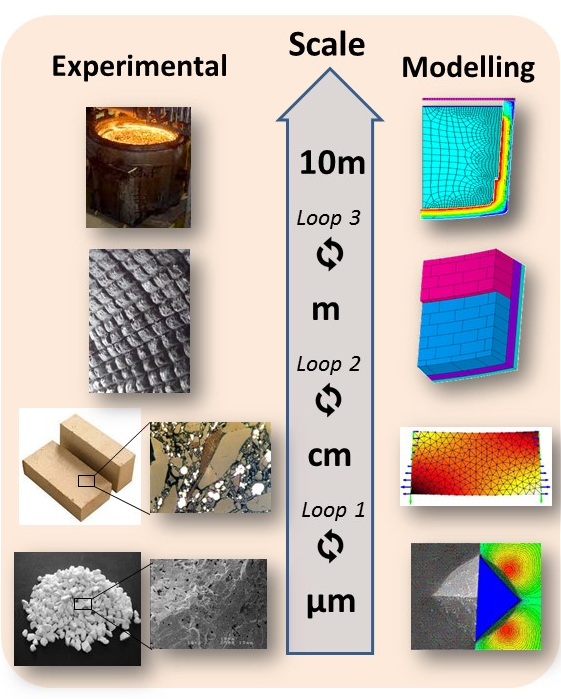 The ATHOR (Advanced THermomechanical multiscale mOdelling of Refractory linings) network is firstly dedicated to train researchers in multi engineering required fields for a better understanding of thermomechanical behaviour of refractory linings used in I&S applications. The project will cover all the main features of thermomechanical analysis of refractory linings including material characterization, impact of corrosion on thermomechanical properties, thermal shock resistance, modelling of non-linear thermomechanical behaviours, instrumentation of industrial devices and measurement in operation conditions. The 15 ESRs recruited will take advantage of the most sophisticated numerical tools to model, design and predict the life of different lining configurations in critical operational conditions. Being trained in scientific, technical and soft skills, these ESRs are the next generation of highly employable scientists and engineers in the refractory sector and related areas. New testing methods and models will be developed to address the Scientific/Technological (S/T) challenges for these applications and help to design better performing refractory materials and linings. 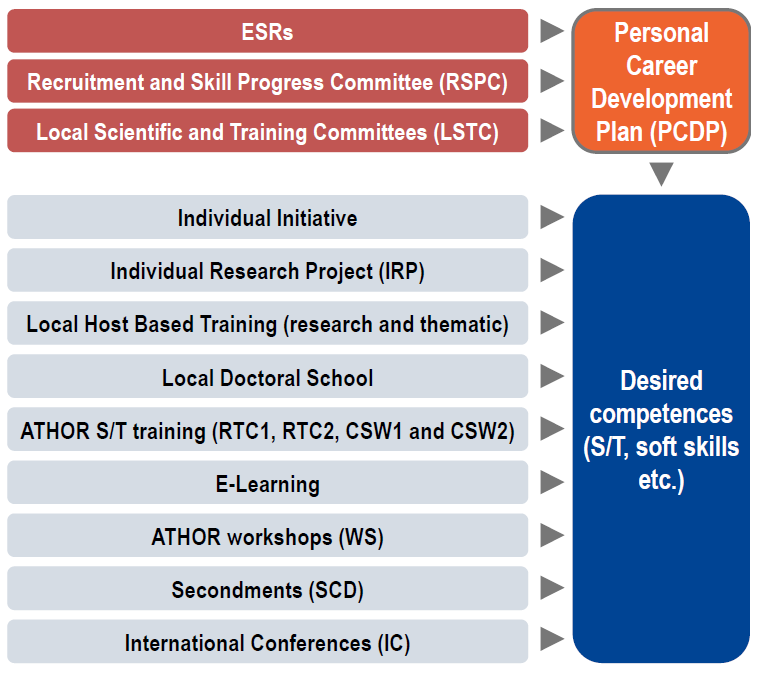 The research training is implemented through strong relationships between academia and industrial partners across the EU. The ATHOR network is structured to take full advantage of intensive cooperation between academia (AGH, MUL, RWTH, UMINHO, UNILIM, UORL), raw material suppliers (ALTEO, IMERYS), refractory producers (MAGNESITA, PYROTEK, RHI, ST-GOBAIN) and consumers (TATASTEEL) with a direct link to the FIRE federation. 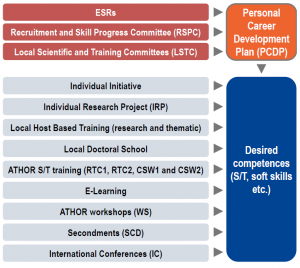 This cross-disciplinary approach throughout the ATHOR value chain will dramatically increase the transfer of scientific knowledge to the refractory-consuming industries in the EU, ensuring their progress on social, environmental and economic aspects. The main scientific objective of the ATHOR network is to adapt and develop the most advanced modelling strategies and experimental technologies to the field of refractory to be able to perform reliable computations and measurement in the temperature range of the applications of these materials. ATHOR targets the development of high-end engineering technologies in the fields of material’s science and numerical simulations to give a substantial contribution through the design of more robust and reliable refractory linings. Ultimately, it represents a reduction of the refractory costs, an increase of the equipment’s availability and an enhanced process control. In addition to the great energy savings that meets the industrial partner’s interests, the ATHOR project contributes also to tackling environmental issues.